The prime minister is convinced mischief could be involved in the latest probe underway in St. Vincent and the Grenadines involving the Antigua and Barbuda passport. Speaking with OBSERVER media yesterday, Gaston Browne said he was very concerned and baffled because it seems like mischief on the part of several people. Browne, who said that no stone would be left unturned as the probe goes on, said that there is something fishy about the discovery of questionable Antigua and Barbuda passport documents in St. Vincent. “We are still unable to determine the mischief that they are seeking to commit because at the end of the day, the bio-pages do not bear any relation to the passports that are issued by our government and all our passports are accounted for,” Browne said. The prime minister said that he will await the outcome of the ongoing investigation, while adding that he’s aware that the police officer who was allegedly implicated was suspended from active duty. Browne said that the probe will determine if the assistant superintendent committed any infraction of the law. Just over a week ago, police in St. Vincent and the Grenadines nabbed a senior police officer in connection with bio pages of the Antigua and Barbuda passport. An investigation was launched here, based on suspicion of Assistant Superintendent Ray John’s involvement. On Friday, his colleagues raided his Gunthorpes home. Three special constables from St. Vincent also arrived on the island that day. Browne noted that all the country’s passports have been accounted for, and that fact, according to the PM, makes the entire matter more confusing. 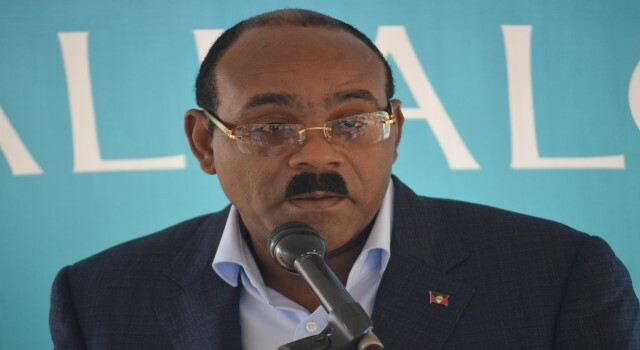 The prime minister added that there are other protective mechanisms that make it difficult to forge the Antigua and Barbuda passport. John, who was born in St. Vincent and the Grenadines, joined the force 29 years ago. He headed the Rapid Response Unit at the time of his suspension on Friday. His suspension took immediate effect.